This is just a teaser, so don’t get excited. But since the release of Maleficent, people have been renewing their love for the Disney classics. So here’s another live-action remake featuring another Disney princess. 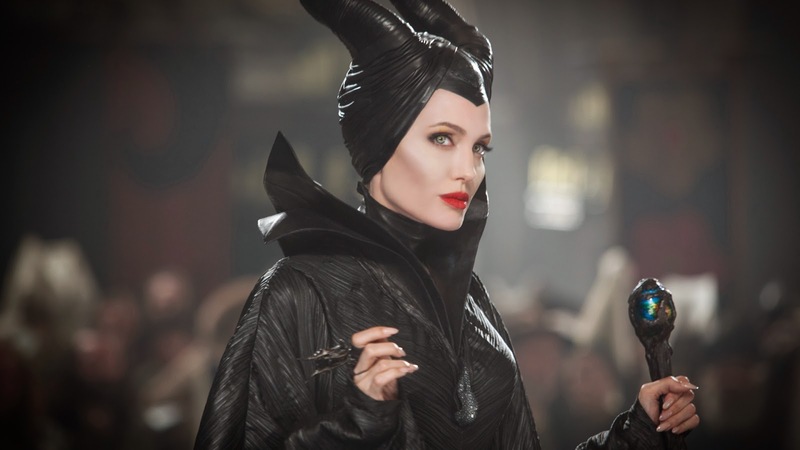 Will it be as dark as Maleficent? I doubt it. But it does have a better cast, IMPO, so maybe it’ll turn out to be the better movie. 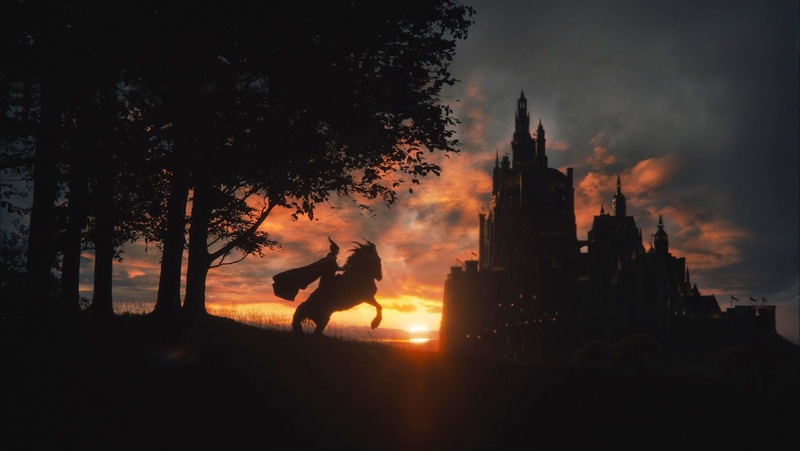 By making the title of the film Maleficent, Disney let audiences know from the start that the movie would be about the villain, not the princess. They were basically telling us that it would be a Wicked ripoff without the music, a “true story” version of a classic. But what they should have called it was Jolie, as Angelina was the star, the vehicle, and probably the power behind the throne, so to speak. So coming in, you had better solidify your opinion of this unique actress; you’ll be seeing her face and her influence from start to finish. Unfortunately, I can’t stand her. Her earlier roles were powerful because she has so much natural angst, and by angst I mean emotional problems. But she’s no longer that dark girl, she’s a woman with serious issues that she can’t keep out of her characters, showing too much uncomfortable reality for my taste. Anyway, I don’t like her, and so found myself challenged to enjoy the movie. I did marginally, so credit to the project as a whole, but I’ll never love Ms. Jolie and I’ll never call this version wonderful. Apparently, what we don’t know about this well-known tale could fill volumes, but thankfully this story will fill us in on the sordid background of the infamous evil fairy. Maleficent wasn’t always bad. She grew up a normal, winged, magic-wielding creature in a land filled with the beautiful & unbelievable. The humans who lived in the kingdom next door never trusted the fairies, and when an old king decided to wage war events were set into motion that would change the world. Maleficent became the queen of the magical creatures, defended them well, but was betrayed by a man she thought loved her. In revenge, she cursed his family, bringing about the events we know so well; the burning of the spinning wheels, the hiding of Aurora, the three silly woodswomen. But Maleficent’s heart was never frozen, love for the beauty of the world always dwelt there beneath the anger, and she would live to regret the curse she so rashly cast. You can throw Sleeping Beauty out the window; this is not your childhood fairy tale. It has a lot of the same elements of course, and the characters are the same, but there are more differences than there are similarities. For one, the point of view is always Maleficent’s, she is the lead, playing both hero & villain at the same time. It’s her we’re supposed to relate to I guess, supposed to cheer for in the end, something I was surprised by. Not that the idea of a multifaceted character is unique, nor is the concept of evil having a heartbreaking back story, but I didn’t expect Maleficent to be the entire film. But like I said before, that was the title, I just didn’t know it would be so literal. And perhaps therein lies the problem; the film was literally about Maleficent, was obviously “poignant”, was never touched lightly with meaning. It was more of a bludgeoning than an awareness, when I could have used a little less. We could blame Stromberg as the director for his heavy-handed storyline; he is an amateur after all, this being his debut. But the movie seemed out of his control, not really his project, not fueled by his voice. It was Angelina’s movie. Now, of course I don’t know what went on behind the scenes, who had what control. But Jolie was the face of the film, the only character who really mattered, and I doubt she sat meekly by as the director told her what to do. After all, she’s directed more movies than Stromberg has, and I felt her touch on this one. And it wasn’t all bad, don’t get me wrong, I just don’t like her or her vision. As a whole the film was too obvious, hovering between juvenile & adult, never taking the time to create something incredible. But some of the pieces were quite good. The look of the film was pretty awesome, with a Pan’s Labyrinth feel that I enjoyed. 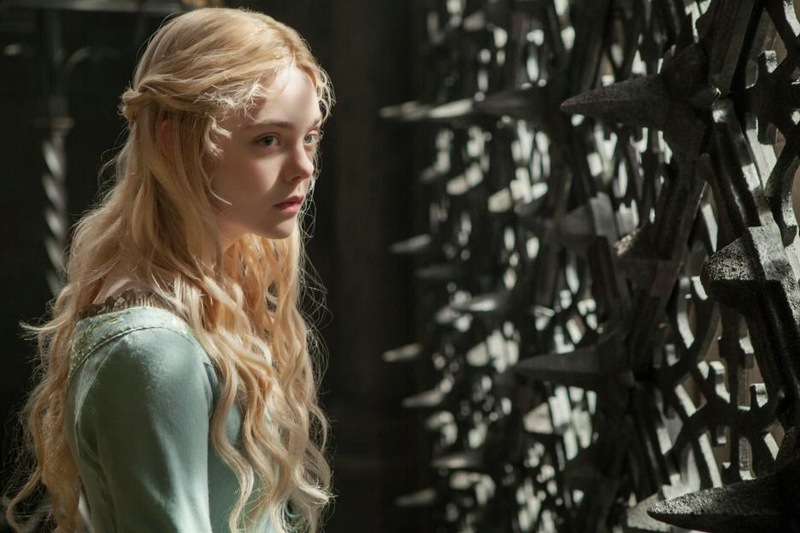 I really liked Sam Riley in a small role, as well as Elle Fanning as the completely one note, overly happy, kinda stupid Aurora. They did their jobs, as did the three silly fairies, and the story was quickly constructed and simply ended. So, not to go back & forth, but there were positives & highly entertaining moments. The trouble is they were overshadowed by things I inanely didn’t like, namely Angelina Jolie. I was never rooting for her to find happiness, never sympathizing with her character, and never enjoying the way her angular face looked out at me from across the theatre. That might be a Me Issue, but the film became about her in a way that felt burdensome and forced, becoming something I didn’t expect and wouldn’t have chosen. Some of the parts were solid, a few of the lines were funny, and I’ll always love the story of Sleeping Beauty, however its produced. But Maleficent isn’t an amazing film. That doesn’t mean it can’t be enjoyed, but you’d better not sit down expecting greatness. This is one of those that’s hard to tell whether it’s a bad trailer or just a bad movie. Oh, who am I kidding, of course it’s a bad movie. I don’t even know what’s going on in the story and I’m sure I don’t want to. It’s ironic that the main guy was also in Lost, another story that makes zero sense. We all bring bias into the theatre when we sit down to see a film, but personal perspective is never more important than when watching comic book movies. The characters, the action, the emotion; every aspect relies on previous knowledge in some way. Fortunately with the X-Men franchise, the plot is widely known, so most everyone comes in knowing something about the back story. But still, watching a comic book movie is easier if you’ve read the comic book. I’m not a huge fan, I don’t “geek out” about superheroes, and I usually judge this genre of movie pretty harshly, so my bias was against this film from the beginning. 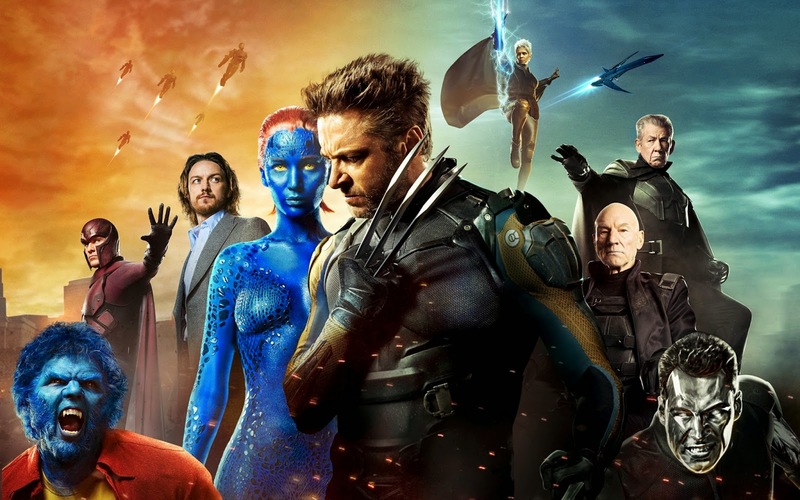 I do know a good bit about the characters; I grew up watching the X-Men TV show of the 90s. But I wasn’t coming in ready to forgive a lot because I love the comic, I was ready to rip it up if it failed to grab my respect. Thankfully, I never had to put that to the test, because Days of Future Past was an excellent movie, regardless of its comic book origins. After many films in the modern X-Men series, this newest release is a portrayal of one of the most classic & epic of the original story lines. At the beginning of the film, we get a glimpse into the future. A war has been raging between mutants and the governments that want to destroy them. A group of advanced robots called Sentinels hunt mutants, destroy them, and are rapidly eliminating the population. Professor X and his X-Men are almost all gone, barely escaping each attempted assassination. There last chance at ending the war may be to go back in time and keep it from ever starting. So Kitty Pride sends Wolverine back to the 70s where he must stop Mystique from killing Trask, inventor of the Sentinels, an event that sets the stage for the evolution of Sentinels and the ultimate annihilation of the mutants. In order to stop her, Logan must enlist the help of two old friends: the young Professor and his arch enemy Magneto. Unfortunately, neither of the men are in a position to help and will both need convincing in order to set aside their differences, band together, and change the future once and for all. I was pleasantly surprised that this film was a step up from other throw away comic book movies. Yes, it relied on the classic stories and I’m sure it would help your enjoyment if you knew a little bit about the X-Men, but it didn’t take so many liberties that you had to love the comics in order to like the film. The story was largely character driven; the relationship between X & Magneto, the past betrayal of Mystique, the inner struggle that every mutant feels at some point when they must accept who they are and what that means for their place in the world. All this was told very well by a solid story that was easy to follow and action-packed. And there was just enough homage thrown in to make me relive some parts of my childhood, but not so much that I began to feel like a nerd. 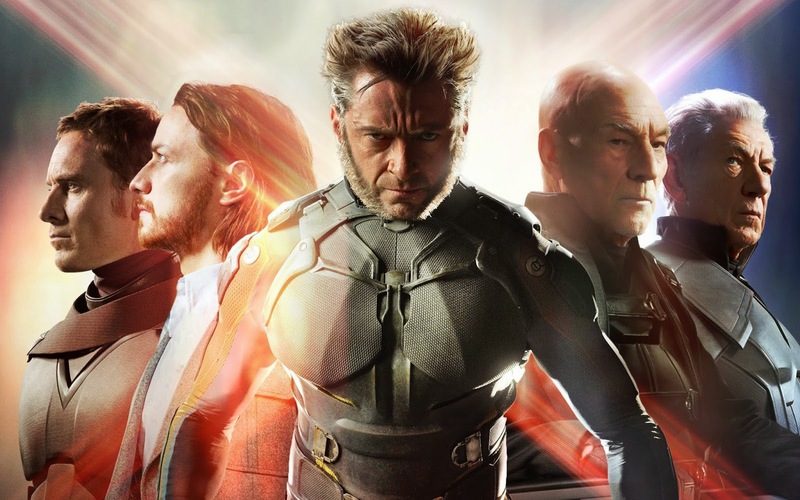 The film can be enjoyed by those who love the comic, those who know a little bit about it, and even those who don’t know much about the X-Men at all. It was strong enough on its own without having to become cheap to win us over. Singer did a great job with this plot, taking an epic and paring it down so that it would translate to the big screen, allowing us to follow along and enjoy ourselves without getting overwhelmed by all the mutants and all their powers. He directed both X-Men & X-Men 2, and will also direct X-Men: Apocalypse in 2016, which I’m looking forward to. I loved watching both Professor X & Magneto as young men, played by James McAvoy & Michael Fassbender. They both did a superb job of bringing the characters to life, showing us their demons, but stopping well short of cheesy. Hugh Jackman was great as well, as Wolverine the toughest of them all. He was always my favorite as a kid, and I’m glad he gets lead parts in all these movies. The worst part about the film, and this really shocked me, was Jennifer Lawrence. 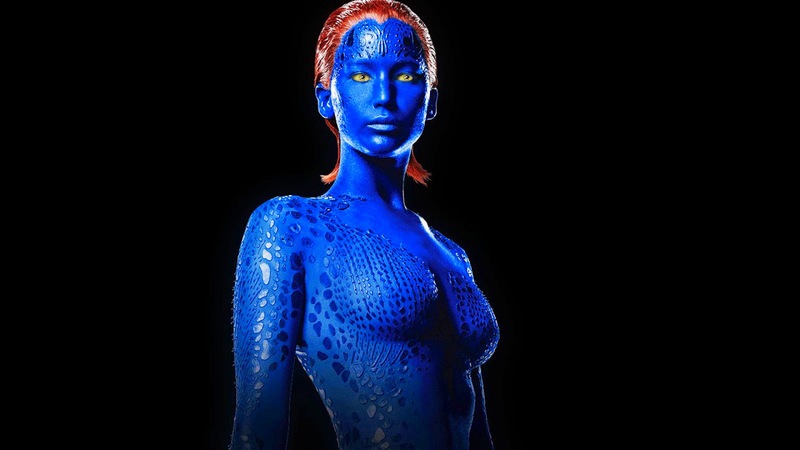 She was just awful as Mystique, delivering emotionless lines in a horribly stilted manner and generally lowering the believability of every scene she was in. And I like her, don’t get me wrong, I think she’s great, but not in this movie. Luckily, the rest of the cast was better, the special effects were really cool, and the story was good enough not to get blown away by the comic book element, to get lost behind a barrage of testosterone and super human strength. That was not what I was expecting. I’d say this movie was right up my alley due to my love of Paul Rudd and my hate of rom/coms. But what I don’t like is that it has a little Not Another Teen Movie feel. Don’t get me wrong, I laughed at that stupid movie as much as the next guy, but I’m not sure I want to see it again, without gross outs, and with Amy Poehler. This is one of those movies you can’t watch without having seen the first. 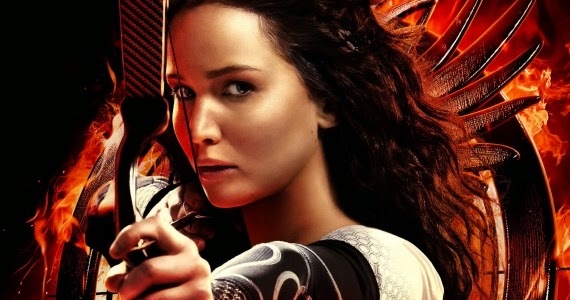 There are three books in the Suzanne Collins series, and there will be a total of four movies in the franchise. Catching Fire is both Book #2 and Movie #2, following the 2012 original. I won’t go back and explain the back story of this plot; if you haven’t read the books or seen the first movie you probably aren’t in the market to watch this one. But for a brief synopsis you can read my Hunger Games review. Anyway, Katniss is back for a sequel, or a continuation, depending on how you look at it. I liked the first movie enough, although it wasn’t perfect. It’s a great concept more than it’s great cinema, but it’s entertaining at the very least. I was surprised to find that I enjoyed this one more than the first, as they were able to put the set up behind them and move on with the characters, creating a deeper story and pulling me even further into a fascinating fictional world. Spoiler alert if you haven’t read or watched The Hunger Games; Katniss & Peeta survive. Their act of “true love” has saved them from the fate of the other Tributes, and they are now Victors. As they begin their victory tour, they realize that they won’t be able to return to their families & their lives, that they will always be a part of the Capitol’s schemes. And Katniss has unwittingly become a symbol for the freedom of the people, a figure for the unhappy people of Panem to rally behind. In an attempt to quell a future rebellion and to show the populace that even Victors are under Capitol control, the 75th Hunger Games will be made up of previous winners, including Katniss & Peeta. So back in the arena they go, but this time it will be different. This time the Tributes understand that the real enemy is the system, not each other, and that by working together they might just be able to win their freedom. In a way, the second story is really just a copy of the first. Another arena, another Games, another fight for survival. But it does have a different feel, because of the alliances between Tributes, because of the building pressure between the Capitol and the people of the Districts. The plot has a little more depth, a little more edge, and you can feel the story taking a turn for the violent. Surprisingly, Jennifer Lawrence was weaker in this one than she was in the first. I could feel her reaching and not just counting on her talent to pull her through. But the side characters were much better: Peeta, Hamitch, Snow, Effie. It was as if they had stepped up while Lawrence had stepped back. Weird, but I guess it didn’t matter, because the movie as a whole was an improvement over the original. And I’m excited to see Mockingjay this November, even though it wasn’t my favorite book. If you haven’t gotten on the Hunger Games train yet, jump on; it’s not too late and you’re missing out. Not on the greatest books & movies of all time, but on a highly entertaining story line that has a quick hook and a solid pay out. I’ve gotta be honest; I don’t know who J.M.W. Turner is. But judging by the quick glimpses of paintings we see in this trailer, I think I’m gonna like him. I’m sure the film will be a little slow, a little period-piecey, but I also think it looks well-done. I’m looking forward to seeing Timothy Spall in a major role like this; he’s a great actor who gets little credit. Somehow this is the third time I’ve voluntarily listened to this story. The first time was when I read the V.C. Andrews novel. It’s a classic I guess, or at the very least it intrigues people, so I’m not sorry for reading it even though it wasn’t wonderful. The second time was when I watched the 1987 movie version. It wasn’t good, but what else can you expect from a PG-13 film starring Kristy Swanson? And now, to complete the trifecta, I’ve watched the 2014 reboot. It originally aired on Lifetime in January, and is as good as you would imagine a made-for-TV movie on Lifetime would be. That is to say, it’s no good at all, and I’m not sure what surprises me more; that the movie was made in the first place or that they’ve already made a sequel. 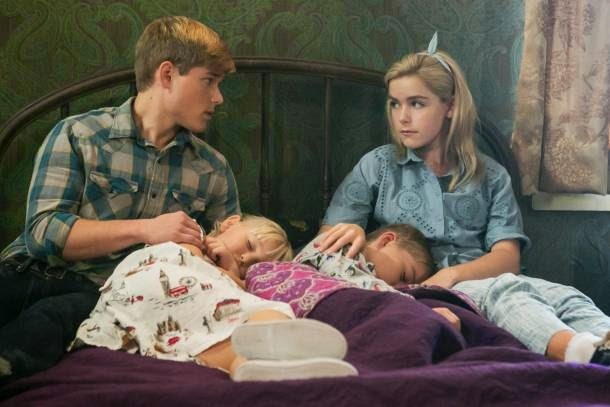 Meet the Dollangangers, the idyllic American family. Mother & Father are a perfect couple, rich & beautiful. Their children are near dolls themselves, with blond hair & porcelain skin, the envy of all around them. They want for nothing, love each other, and all seems well. But when tragedy strikes, it leaves the family reeling and without a place to turn. Father was the sole breadwinner, and without him the family has no money and no prospects. Except, perhaps, for one. Mother contacts her parents, extremely wealthy landowners living in Foxworth Hall who have never seen their grandchildren. Years back there was a disagreement, but with a little work that rift can be patched and the Dollangangers can be right back on their feet. But it won’t be as easy as it sounds. On the way to Foxworth hall, Mother tells the eldest children, Cathy & Christopher, that her father hasn’t accepted her back into his heart or his will just yet and that he has no knowledge of the children. 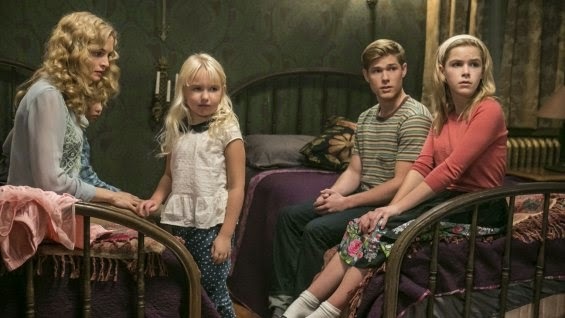 In order to win his favor, the children must all stay in a rarely-used bedroom connected to an attic, while Mother works her charms on the man who once doted on her. She promises them that their secret isolation will only last for a few days, but as it slowly turns into a few weeks & their mother’s visits become less & less frequent, the children begin to worry. Add in an angry grandmother who may feed them but also keeps them locked in their tiny room and you’ve got a situation that is sure to go from bad to worse. The base story here is actually pretty interesting. I guess that’s why the book is so well-known, even though it’s not written extremely well and the rest of the novels that follow it never do great things. There are a ton of themes introduced in a short amount of time that do elicit some thought. The perfect family concept, the reliance on looks to get you though life, the idea of wealth & inheritance & prospects. And then there’s the attic. It’s terrifyingly simple; the kids think they can deal with this prison for a few days, and when it becomes longer they convince themselves that their mother knows best. When she doesn’t come back up they assume she’s busy, and all the while they grow paler, sicker, and begin to yearn for contact with the outside world. There’s also a bit of a Blue Lagoon storyline; young bodies just coming into their own, two growing children completely alone with no one to turn to. It’s a novel that can lead to some great conversation, based on the well-formed plot, one that’s obviously attractive for filmmakers. Problem is, when you bring that story to life you’ve got to infuse it with some talent & some vision. Otherwise is falls completely flat, which is exactly what happened here. The fascinating plot can only do so much before it runs out of juice, needing actors & directors to step up and carry it the rest of the way. Unfortunately, Heather Graham, who plays Mother, couldn’t play herself in a movie she wrote about her own life. She might be the worst actress in history, at least among known names, exhibiting zero talent and absolutely no believability. Every scene she was in felt stupid & amateur, which is actually pretty unfortunate, because everyone else held their own fairly well. 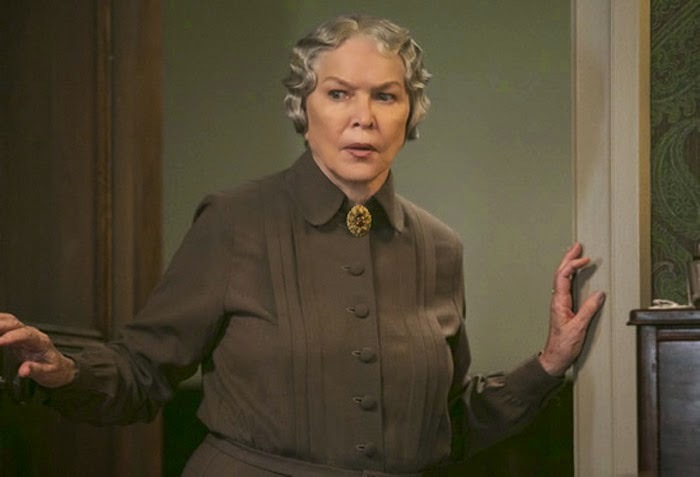 Ellen Burstyn was nasty & evil, playing the grandmother well. And both Shipka & Dye as Cathy & Chris were solid, nice up-and-coming actors who did a fine job. But they weren’t given much to work with, with a watered-down script and badly-directed scenes. The original story is a little wicked, a little wrong, but that’s what makes it cool. In this made-for-TV version, everything was tamed, nothing was impressive, and the movie failed to grab me. Video – With an aspect ratio of 1.78:1 (16:9 HD), the video was quite strong. The film was shot using as Arri Alexa camera and the video quality is high. The colors are well contrasted and the clarity is crisp. The majority of the action takes place inside one room and an attic, so there aren’t many opportunities to show off great camera work or perfect videography. Audio – The DVD was done in Dolby Digital with your choice of English SDH subtitles. There are no other audio options. The sound quality is fine, with no noticeable flaws but no wow moments. Again, a lack of action limits the number of times that the audio could possibly have been shown off. Extras – There are only a couple extras on the disc. A behind-the-scenes segment lasts twelve minutes and introduces us to the cast & crew with a variety of short interviews. There are also five trailers: Cyberstalker, Night Train to Lisbon, Mad Men, Gimme Shelter, and In Secret. Skip It. Flowers in the Attic is a mediocre book. The first attempt at a movie wasn’t very good and the second attempt was a little bit worse. The main problem is Heather Graham, a terrible actress, but the direction of the scenes surrounding her didn’t help much. The other actors in the film were solid, but they couldn’t save a semi-boring depiction of a quasi-interesting plot. The video quality was high, the audio quality fine, and there were a few extras on the disc. All in all, a movie you don’t need to see. Read the book if you’re interested; it’s short and an easy read. Feel free to skip the film version. Is it sacrilegious for Helen Mirren to play a French lady? And is it cheesy to make a movie about an Indian family making their way in a strange world? Yes & yes. There are a few moments in the trailer where I think this film might work, but overall I think not. If you follow the NBA, two headlines have been dominating, apart from the actual Playoffs. One is the Donald Sterling case, which you can read about here, and the other is the recent interview Mark Cuban did with Inc. Cuban is owner of the Dallas Mavericks & the co-host of Shark Tank, and he has some interesting thoughts on the topics of Sterling and racism. You can check out the interview here, but let me sum up. Basically, Cuban claims that we all have prejudices, that we all judge others by their appearance, and that our hidden fears often drive our visible actions. He says he lives in a glass house and wouldn’t be the first person to throw bricks at someone else who may have said the wrong thing. He goes on to mention his fears of young black men in hoodies and young white men with tattooed faces, claiming that we all have similar prejudices, that we need to understand that fact instead of immediately hating others for their unpopular opinions. First off, what he said isn’t really that incredible. That concept in being taught in sensitivity trainings all over the country, the idea that we all have certain stereotypes & judgements and that it’s better to acknowledge those than it is to hide them. I don’t think many people would argue against the validity of what he said; we do all have prejudices, even if they are small or don’t affect how we treat others. Problems arise when individuals let these thoughts govern how they view others, how they interact with others, turning ingrained social concepts into hurtful & racist actions. So really, you can read Cuban’s opinion in text books in high schools and colleges everywhere; it’s not that groundbreaking. The trouble is, he used specific examples of the things that “scare” him, and one of them was too reminiscent of Trayvon Martin. That’s still a sensitive subject for a lot of people, and it’s not great business to tell the world that you get nervous when you see people that resemble an innocent boy who got shot by a psychotic vigilante. Add that to the recent Sterling case, and you’re treading on dangerous ground. It’s hard to disagree with exactly what Cuban said, but it’s easier when you understand that he’s refusing to point a finger at Sterling because he doesn’t want four pointing right back at him. Sterling doesn’t deserve sympathetic understanding, nor does he deserve a fellow owner coming into his corner and saying, “Hey, we’re all racist in some way, give the guy a break!” We may all have minor prejudices, but only a few of us tell our girlfriends not to talk to black people, or shoot kids because we assume they’re criminals, or cross the street when we come across a person who has a lot of tattoos. 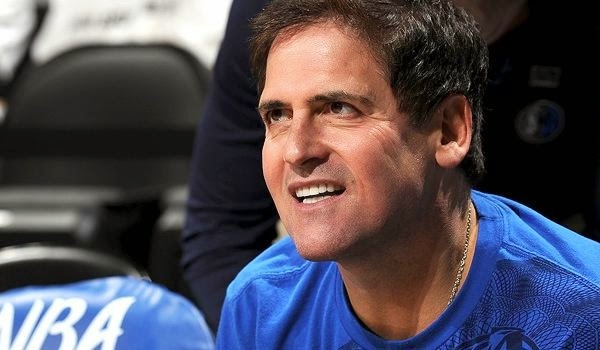 There are unconscious stereotypes and then there are conscious choices; I guess only Mark Cuban knows which of the two his inner thoughts are.